discount propecia online September through October is the perfect time to begin forcing your spring bulbs for holiday gift giving and other special occasions. Tulips, narcissus (daffodil), and hyacinths, along with other spring blooming bulb favorites, can be forced to flower in the late winter, and early spring months. Note that not all bulbs can be forced, and most bulb packages will indicate if they can or not. Of those that can, most require pre-chilling in the refrigerator, which simulates fall weather temperature. soft viagra buy online purchase • Purchase your bulbs early for the best choice and selection. Place them in a brown paper bag labeled with the date and variety. • Place the bulbs in your refrigerator. An empty produce drawer is best, as ethylene gas from aging fruits and vegetables can inhibit the bulbs. If an empty drawer is not available, just place on the bottom shelf. Do not allow your bulbs to freeze. • Chilling times may vary. See our list below, or refer to the bulb packaging. 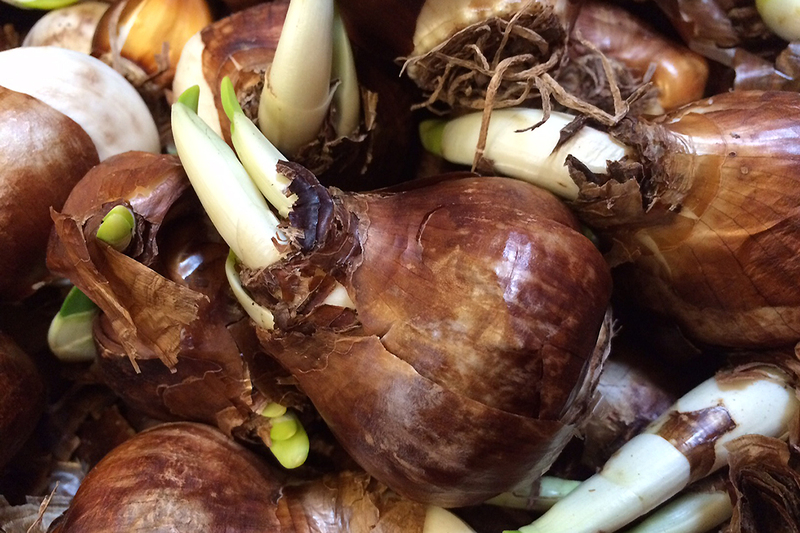 Paperwhite (narcissus) bulbs come to the garden center pre-chilled, and can be potted right away. • For paperwhites (narcissus), you may use gravel, marbles, glass chips, or a soil mixture. If you aren’t using soil, the water level should be just below the base of the bulb, and not touching it. You’ll need to check the water levels occasionally. (For all other bulbs, planting in freely draining soil mix is optimal. See bulb packaging for planting depths). • Add a tsp. of gin with each watering after about 6 inches of growth to keep paperwhites shorter. • Add a tsp. of charcoal to your grow medium to keep the water fresh and clear!